This page is currently under construction.... more info will be added soon! It started with a river, over 1000 years ago…. What makes the Ruhr area one of the most unique areas in Germany began more than 1,000 years ago. Many small towns and villages were located along the Ruhr river and what was called the ‘Hellweg’, an old merchant’s route that ran from the center of Germany all the way to the Dutch border. Both the river and the Hellweg were a bustling 'highway' and waterway for trade. The footprints of thousands of Merchants carved out the roads, and as more and more people settled, villages in the Ruhr area began to grow. For over 400 years the main city in the Ruhr area, Essen, was presided over by a monestary of women, called the Essen Abbey. The Essen Abbey was a collegiate foundation, or canonry, for the daughters and widows of Germany's nobility. Under the surface of the entire Ruhr area are dark, fertile fields of coal. 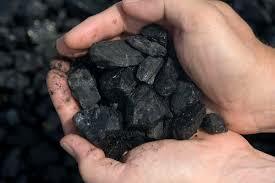 The first coal mine was opened by the women of the Monestary in the mid 1300's. Besides being a center for commerce, the Ruhr area soon became Germany's energy capital, the world's center for coal mining and steel production. New factories and steel mills sprouted across the land, including what some considered to be 'the world's prettiest steel mills', but the skies grew dark with smoke. For over two hundred years, the Ruhr area was the heart of the German coal and steel industry. The economy changes: What should we do with all these old factories? When the steel and coal era came to an end in the mid 20th century, it was mainly the people’s open-mindedness and unique outlook that turned the Ruhr area from a stronghold of the coal mining and steel production industry into what it is now: a leading figure in the fields of technology, business, education and culture. In the wake of this new era of technology and service, the Ruhr area was left with the lingering questions “What should we do with all these old buildings and factories?” This is when the Ruhr-area leaders did something unexpected: Instead of tearing things down, they built them up and ‘flipped them over’. Old coal mines were turned into discotheques and swimming pools, ice skating rings were added to an anthracite factory, fields were reforested, light shows were added onto the refinery tanks, and a new culture was born in one of Germany’s most diverse areas. Once the center of people’s everyday existence, the industrial sites now offer numerous cultural events and unique entertainment opportunities which people from outside the Ruhr area have never experienced before.